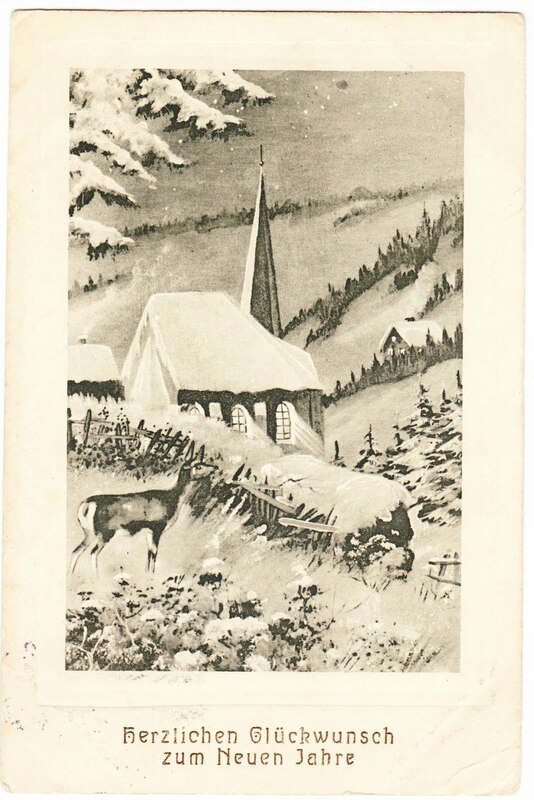 This old black-and-white postcard features a deer (hey, another deer! 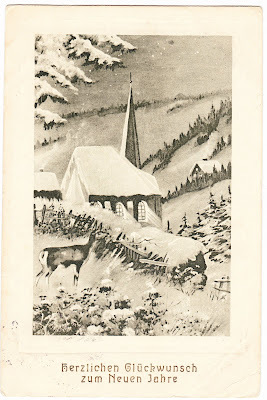 ), a church, a fence and a snowy forest. It has the German greeting Herzlichen Glückwunsch zum Neuen Jahre, which translates roughly to "Congratulations on the New Year." The back of the postcard has all sorts of interesting stuff, although there is no indication of the manufacturer. Clearly, it was intended for international use, as the word "postcard" is printed on the back in about 18 different languages. At least I think the name written in cursive is D.H. Lang. Perhaps you would interpret it as something different. Forest Hill, carved out of the mostly vanished Great North Wood, is a suburb of London that saw its first significant population growth in the second half of the 19th century. The stamp is the easy part. 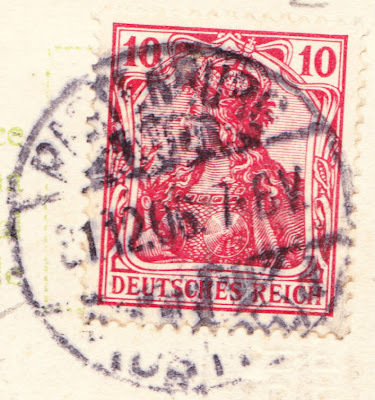 It is a 10-Pfennig Germania stamp, the kind of which was first issued in January 1900. Actress Anna Führing served as model for the woman on the Germania stamps, which were issued until 1922.2 After 1902, all of these stamps carried the DEUTSCHES REICH phrase featured on this stamp. Here's a link to a better image of this particular stamp. The postmark, meanwhile, appears to have 31.12.06 in the middle. That would be standard European notation for December 31, 1906, if I'm reading the faint numbers correctly. 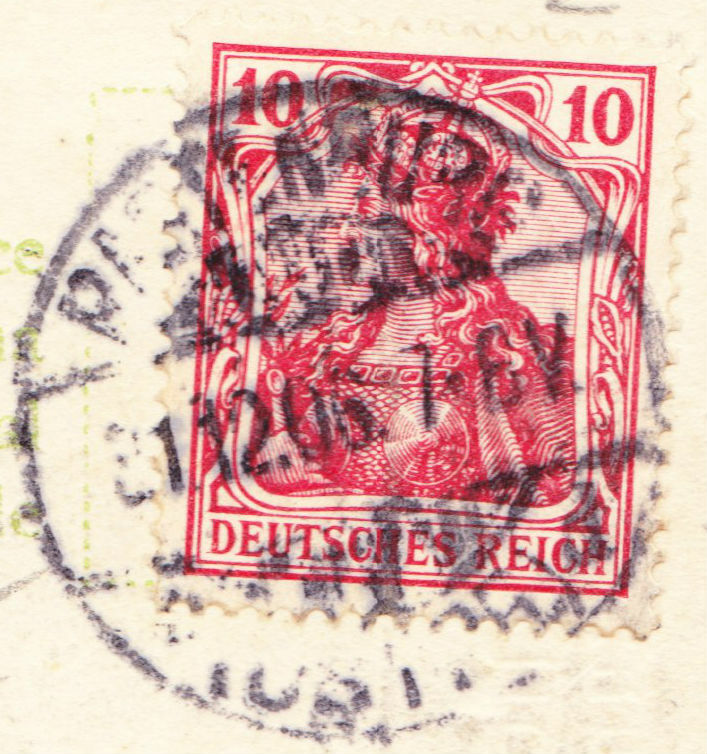 Even more faint is the top of the postmark. But I'm fairly certain it reads RASTENBURG. Rastenburg was formerly a town in Germany.3 After World War II and the Potsdam Conference, it became a part of Poland and was called Rastembork. In 1950, it was renamed Kętrzyn in honor of Wojciech Kętrzyński. So, Rastenburg is no more. 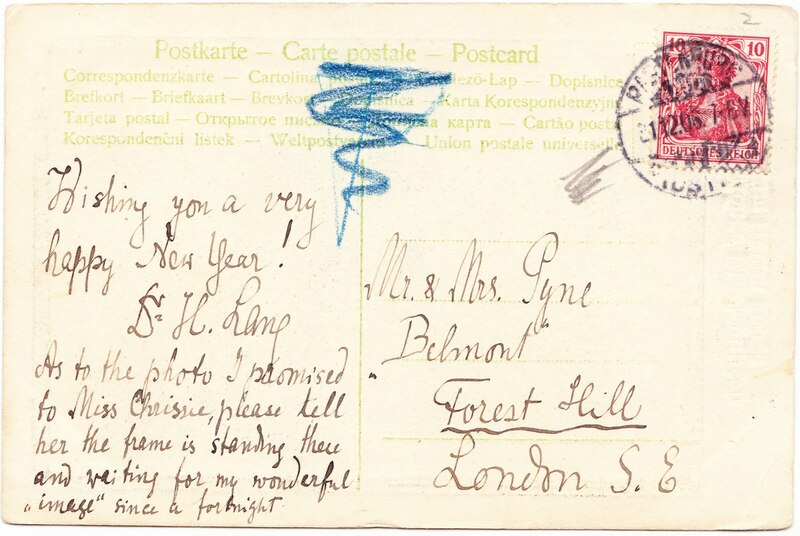 But 106 years ago, someone there took the time to mail a New Year's greeting to a family in London. I wonder if Chrissie ever received her photograph, and what it pictured. 2. 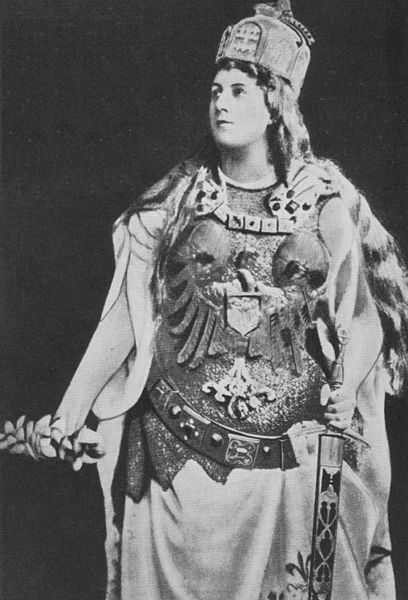 The movies of Anna Führing (who is pictured at right posing as Germania) included 1915's Hausdame aus bester Familie gesucht (Housekeeper Wanted from a Good Family), 1915's Ein Held des Unterseebootes (A Hero of the Submarine), and 1928's Ossi hat die Hosen an (Ossi Wears the Trousers). 3. Two more Rastenburg facts: (1) The town was established in 1329 in the State of the Teutonic Order, which existed from 1230 to 1525. (2) Adolf Hitler's wartime military headquarters, the Wolfsschanze, was located in the forest about five miles east of Rastenburg.